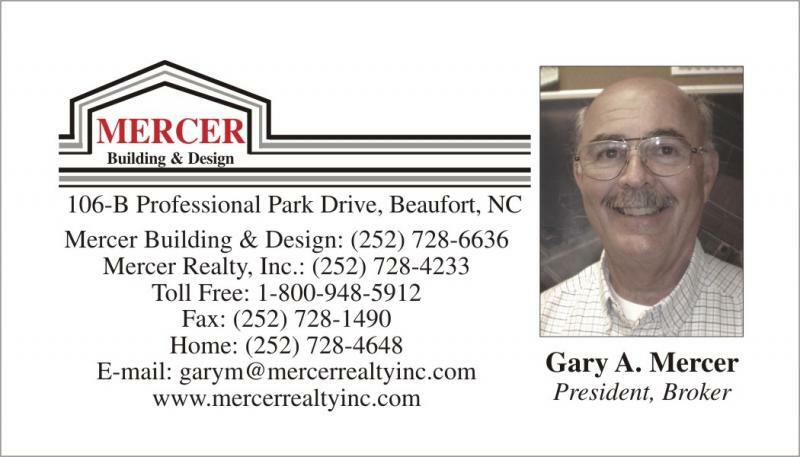 Mercer Realty Inc. - About Mercer Realty Inc.
Mercer Realty Inc. has been committed to creating affordable communities in Eastern North Carolina for over 30 years. Over the years, we have provided a variety of services to respond to your special needs. We are a family owned and operated, full service real estate firm; therefore, if you do not find what you are looking for on our website, we can find it for you! We have homes and Office Space for sale or lease, we have commercial property for sale and we build homes and condominiums. We also offer mini-storage units for lease. Mercer Realty, Inc.'s office is in Beaufort, North Carolina. We at Mercer Realty, Inc. strive to find just the right home for your needs. We don't want to just sell you a house, we want to find you the home that fits your lifestyle. Owning your own home is one of the biggest purchases you will make in your lifetime, so it is important that the size and price meet your needs. It isn't just about finding the right home, location if very important too. We will help you find a home close to work, church, schools, dining, shopping and entertainment. If you have credit issues that might be keeping you from buying your dream home, we can guide you to the ways to clean up your credit score. Call or stop by today. We would love to meet you!! !